Urban dance can comfortably be twinned with contemporary dance. 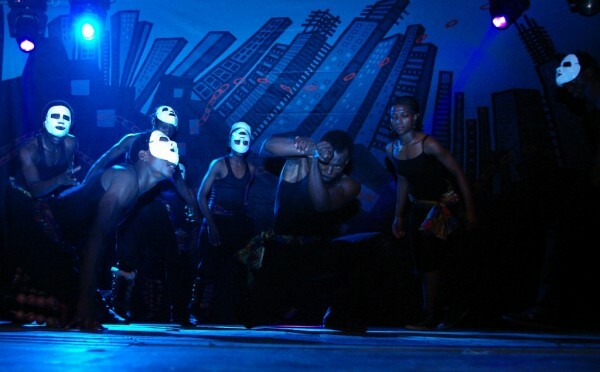 Any number of styles will combine to bring out an important message as was exhibited in the Breaking Free production on a cool Kampala evening on January 14. As only the third production of the year, there was enough raw expectation before the kaleidoscope of dance styles was presented. 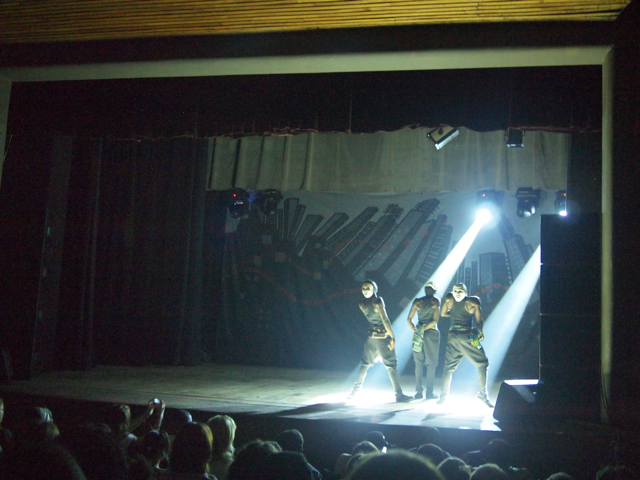 A full house, with over-flowing aisles was a good sign that the message in dance is not completely lost on Kampala’s theatre-goers. Breaking Free at National Thetare, January 2012. Photo by Thomas Bjørnskau. The mood was electric as the crowd spilled out of the main auditorium of the National Theatre. 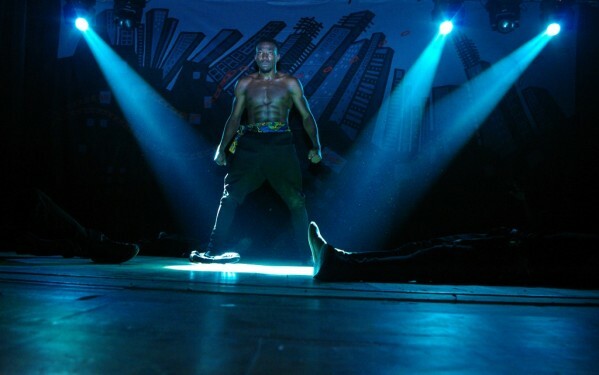 They had just been served with energetic performances by a group of young dancers in the production, Breaking Free. Before this, as they sat spellbound in their bucket seats, the dancers told different stories, some personal, some not, about breaking from convention into better situations. It was about realizing the importance of embracing the good in tradition and accepting to let go of traditional tendencies that pull people down. Helmed by an experienced choreographer and supported by a gifted DJ, the show had the potential to live up to its expectations. The appreciative crowd had clearly come to have fun and they seemed to be enjoying every twist and turn. The impressive turnout was partly attributable to the legendary marketing machine of Alliance Française and Goethe Zentrum, which have built a reputation for impeccable planning of arts events. It was free for AF and UGCS members, while the rest had to part with Shs5000. Faizal Ddamba and Catherine Nakasewa at Breaking Free at National Thetare, January 2012. Photo by Gerald. Breaking Free was introduced as a ‘French-German-Ugandan dance and music production.’ It followed the lives of nine individuals from Kampala told through dance styles of B-Boying, contemporary dance, popping, locking, krumping, house dance, physical theatre and what was referred to as African Tribal Dance. It was an amalgamation of ‘fiction and personal history, dreams and reality, memories of the past, struggles of the present and an outlook into a possible version of the future,’ according to the programme. “It is about showing that everybody has different reasons for wanting to break free from encumbrances,” choreographer Youngung Sebastian Kim aka B–Boy Jaekwon, told Start Journal. In the project, there were two professionals from the urban dance group Tabu Flo, Abdul Muyingo and Hakim Zziwa, and a contemporary dancer, Catherine Nakawesa, who is more experienced. The rest were young people who were doing their first theatre piece. They all belong to the NGO Breakdance Project Uganda. B-Boy Jaekwon at Breaking Free at National Thetare, January 2012. Photo by Gerald. Breaking Free didn’t have a break. It was a 40-minute piece of intense energy and music with sudden transitions, reflecting a vibrant youth yearning to be let free. “Considering the rehearsal time that we had professionally for a 40-minute piece, we should have rehearsed for approximately one and a half months. For this one, we had only two and a half weeks. We didn’t have a certain limit on how much we would create. But during the process, we realized that there was enough chemistry to go on for longer than the 30 minutes we had thought of,” the choreographer, who has been working in the dance theatre field for six years, said. Dance theatre is an important field because there is very little to work with. Urban dance is pretty young. Hiphop, B-Boying and the other associated styles have only existed for about 30 years. Throughout world, there are few people involved in this art. Breaking Free at National Thetare, January 2012. Photo by Gerald. Also, the mixture of styles from people with different backgrounds is an interesting aspect. The social aspect is one of the biggest in the dance world. These young people were not learning new techniques for most of this period; they were getting to know each other and drawing inspiration from each other’s stories. 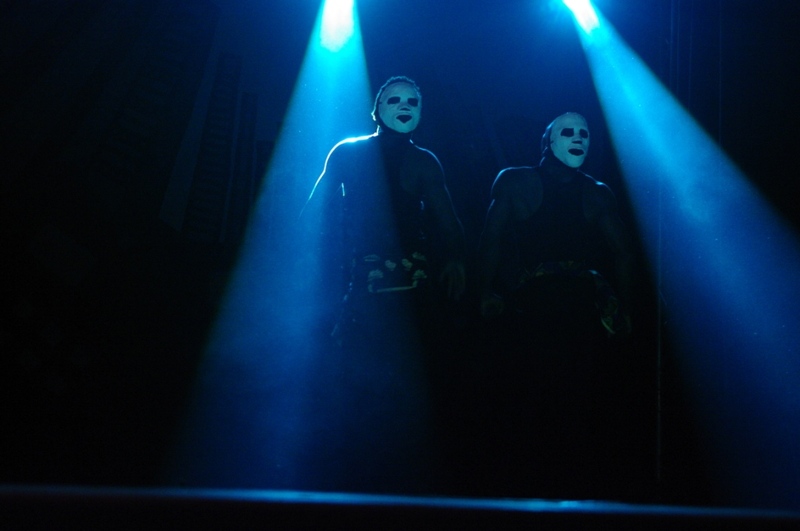 In the beginning, the organisers asked many questions about the personal backgrounds of the dancers. Zziwa says he got involved in Breaking Free mainly because it was choreographed by Jaekwon. It is also something that Tabu Flo, the group to which he belongs, can build upon. The opportunity came through Breakdance Project Uganda where he is also a member. “I expect that projects like this will help to develop dance in Uganda because there is a lot that we can explore with dance. We need to go beyond the pop that is preferred today and tap into the power that lies in this art form,” he opined. “We have based Breaking Free upon the concept that there are many things that are thought of as impossible. Many young people are told by the world that they cannot do certain things; young women are told they cannot do certain things because it is taboo and that kind of thing. “This is an expression of our belief that if we set our minds on something, nothing is impossible. This is where we confirm that we have the power to change the status quo. We can change our world. The stories we tell are celebrations of this freedom,” Zziwa continued. “I am more used to making music,” DJ Simbad told us on the eve of the big show. He had spent time cutting and re-writing sections of the score for the piece. The main event must have had him nodding with satisfaction. Abdul Kinyenya Muyingo at Breaking Free at National Thetare, January 2012. Photo by Gerald. “I never saw such an effective and inspiring performance, considering the short time of preparation. The choreographer, the DJ and the dancers did an amazing work, especially since they took their time to work together in the progress,” she says. According to the coordinator, the whole team displayed a high level of professionalism on the day of the show: “Some of the dancers were not used to perform on a stage or to dance in duos and trios, others never worked with such a choreography or the different dancing styles. 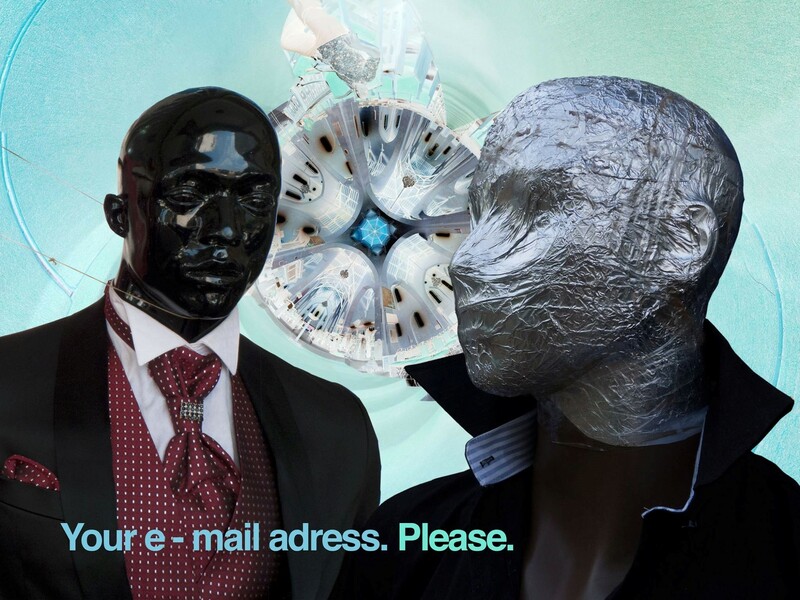 The piece tried to connect all aspects of a logic ensemble together – costumes and masks, stage design, lights and music – all aiming at supporting the content,” she continued. Experts in the field maintain it is not easy to make such a composition without losing the content and context. Breaking Free managed to portray a true picture of a Dance Theatre project. “They all surprised themselves and us, the audience. The harmony and energy of the team was wonderful – that’s the way projects have to work, speaking as a Cultural Coordinator,” Ms Christgau explains. According to the Institute, every cultural aspect and cultural expressions are important to support. This is the biggest reason why the organization is involved in projects like Breaking Free. In a modern setting where the youth are taking over the reins of the world, empowering young people will be on more organisations throughout the world. Organisations like AF and the Goethe view breakdance as a modern way of expression and the context of breakdance shows that it express the struggles of young people, especially in urban areas. Breakdance can give people focus, a voice to speak and belonging to a group – where there often is no family. 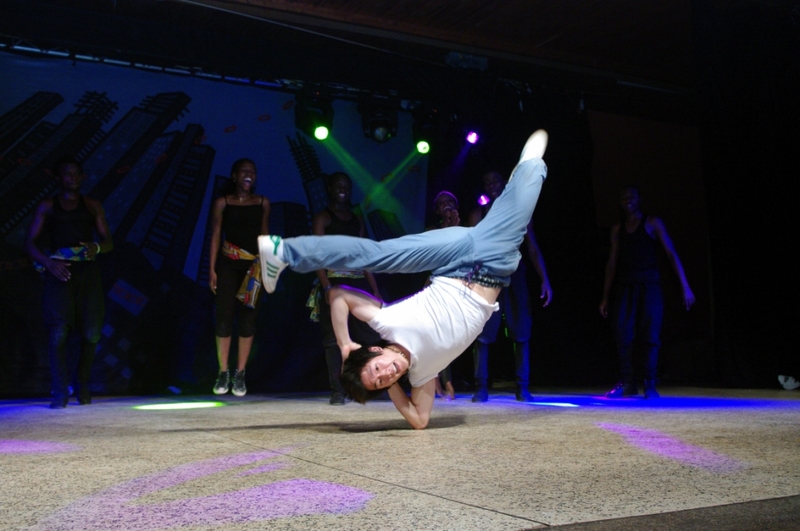 Breakdance Project Uganda is a group getting praise from many quarters. Through the NGO, many young people have found empowerment, motivation, education and personal development. There are numerous reasons to support this. The Goethe always looks for cooperation with local organisations working in the cultural field. BPU focuses on the empowerment of young people economically and socially. BPU organizes sponsors to finance school fees for young people who have been dealt a hard hand by fate. It also gives tasks to these young people in order to give them a sense of responsibility. Theatre performances like Breaking Free are showing other dancers that they can also make something useful with their talents. “BPU will always be a good partner and friend for UGCS and AFK, since they also support us a lot,” Ms Christgau says. Urban dance is an expression related to youth reality – the music, the movements, and the energy. But contemporary dance or visual arts can do that too. Culture and arts help reflect situations and reality. 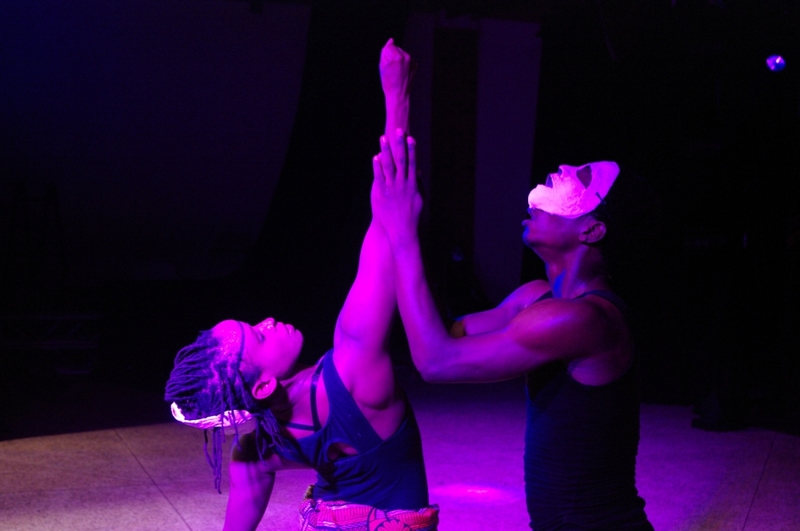 The social transformation that is evident in the urban dance movement is worth noting. Hip-hop in the mind of many Ugandans refers to rap music. To the average Ugandan, hip-hop is the music done by the likes of Klear Kut, and Krazy Native. Few people however know that hip-hop is a culture and it’s not just about the rap music. The hip-hop culture in Uganda is bigger than many will realise and it is growing, albeit stealthily. Hip hop also comes with a huge responsibility to groom tomorrow’s leaders, the young people. That is what organisations like BPU are doing. Of course there are always rifts in groups arising from different views; differences in opinion. There seemed to be a rift in recent months when there emerged two power centres both claiming to represent the interests of break dancers. This, however, can be put to youthful fervor. On investigation, what comes to the fore is an expression of difference in opinion. 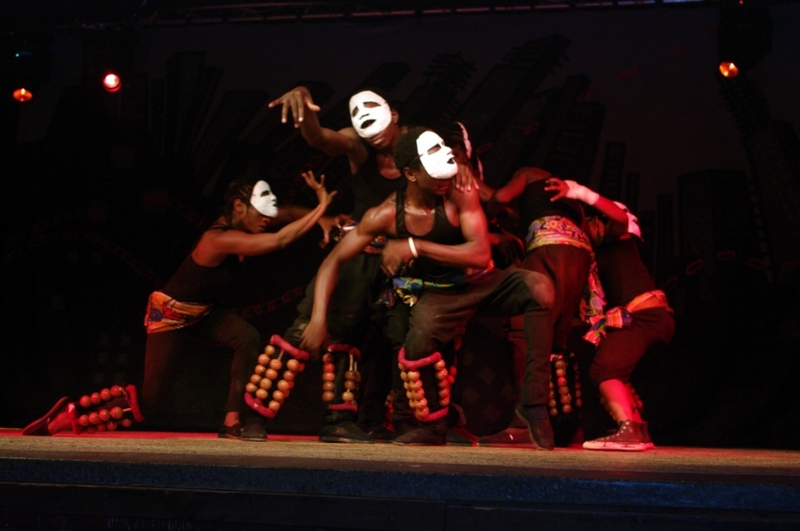 On the whole, the dance movement displays a clear headedness not often witnessed in Ugandan arts groups. The gifts of a nation might not easily be identified by country people. It might take an outsider’s fresh ears and eyes to point out the gems. 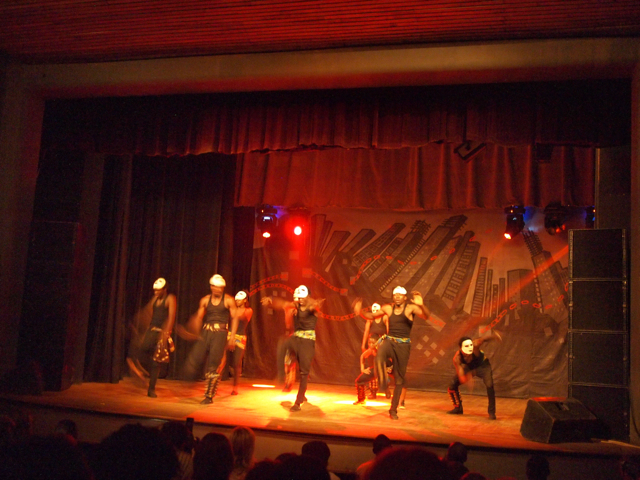 Hip hop and dance potentially hold the key to the next stage in the development of the arts in Uganda. More productions in the mold of Breaking Free will be needed. And the public will have to be nudged in the right direction by experts in the area.